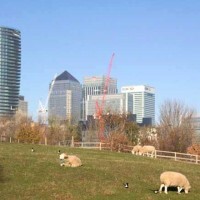 Home » Post tagged "ram"
We’re excited to have a new Whitefaced Woodland ram at Mudchute. He joins us from Derby and can be easily spotted among the flock by his gorgeous spiraling set of horn. 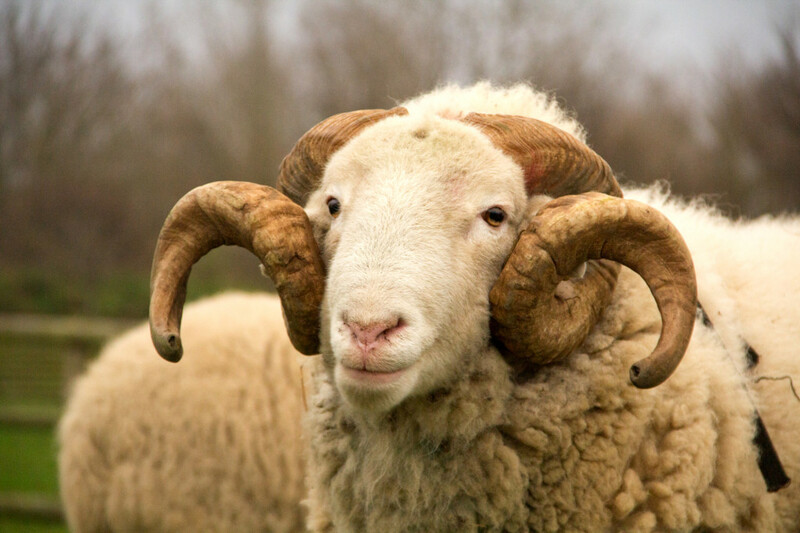 Both male and female sheep of the breed are horned, but the ram’s impressive horns definitely stand out. Like all our tupping rams, he’s also wearing a raddle, a chalk pad on a harness, which gives us an idea of which ewes he has serviced. This helps us get a better idea of which ewes are likely to be in lamb and if/when we might expect lambs. A warm welcome to the new boy and best of luck. We hope to have a rather busy spring! 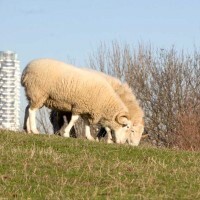 There’s a new ram at Mudchute! 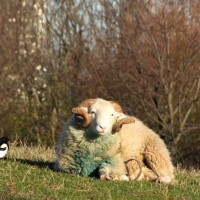 Our latest addition is a young Jacob ram and he is currently entertaining our three Jacob ewes. 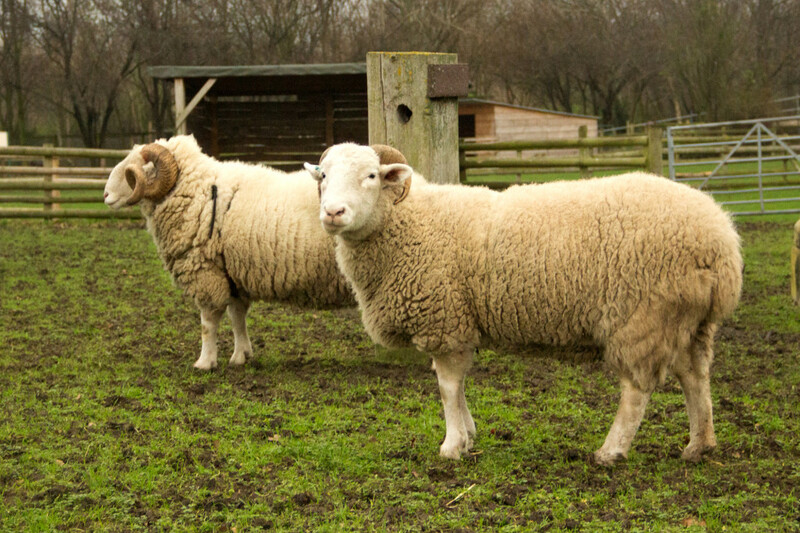 Jacob sheep have been known in England since the 1750s are easily distinguished from our other sheep breeds with their spotted, piebald fleeces. 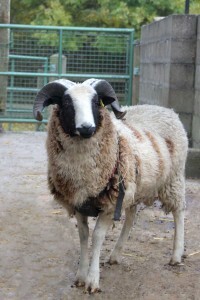 You’ll notice both rams and ewes are horned in this breed, but some Jacob rams can have as many as six horns. 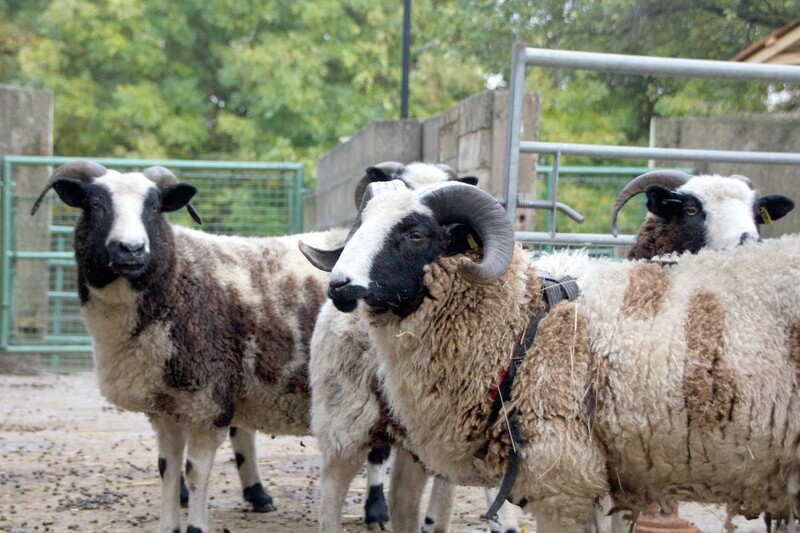 At the moment, our new ram is wearing a harness. This is a raddle, which contains a chalk block on his chest. This will allow us to monitor his attentions to the ewes and give us a better of idea of if and when we might expect the pitter patter of little Jacob hooves! 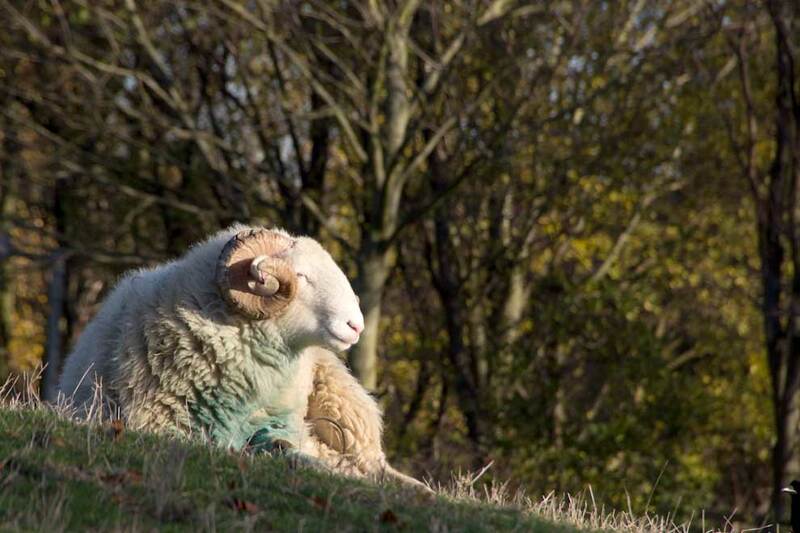 A sheep’s pregnancy lasts approximately 5 months, so if our new ram and ewes get on well, we’ll hope to make more introductions in April. 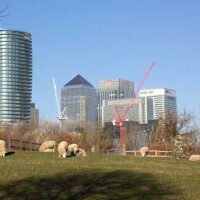 You can find out more about the sheep breeds at Mudchute on our website and more about Jacob Sheep from the Jacob Sheep Society. 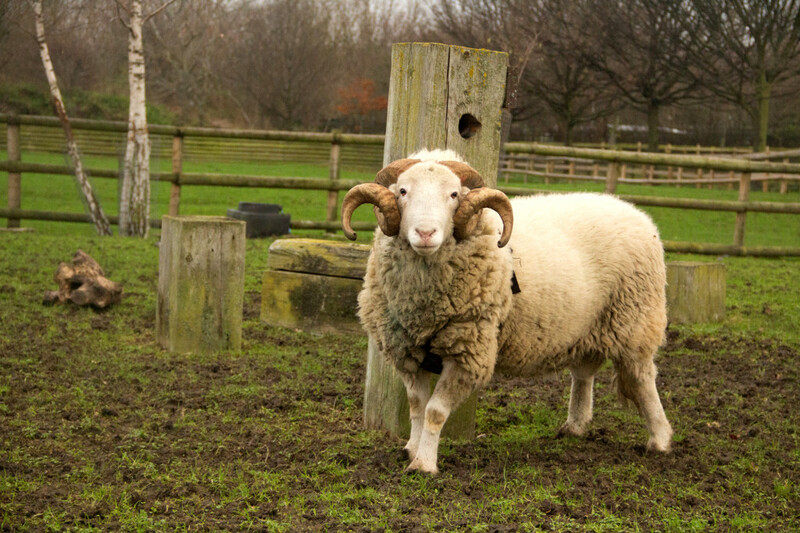 Just before Christmas, we welcomed back the handsome Whitefaced Woodland ram, Biddlesden Warrant, who previously visited some our ewes last January. 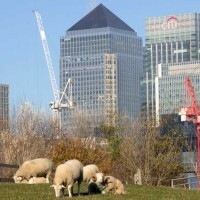 Warrant is back at Mudchute to spend time with some of our Whitefaced Ewes. 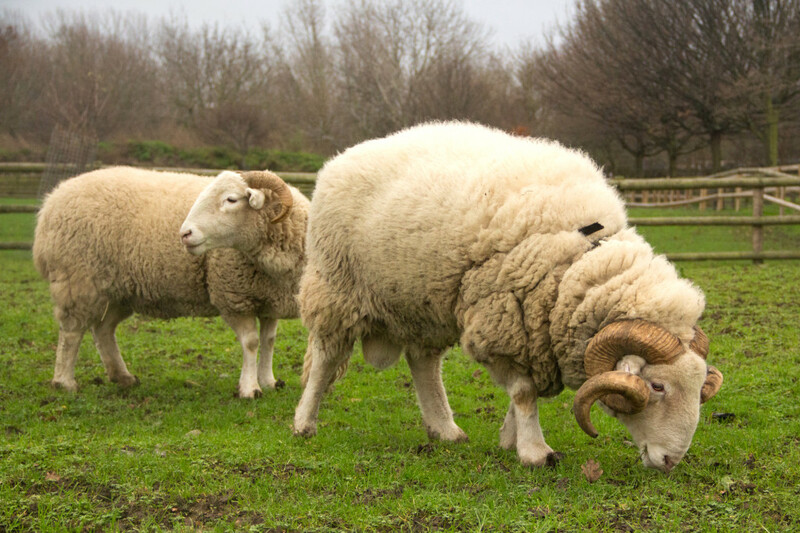 Both male and female Whitefaced Woodland sheep have horns, but those of the ewe (on the right) are far less ornate than those of the ram. You’ll notice he is wearing a raddle, a harness that holds a crayon. By changing the colour of the marker regularly, we can monitor if and when he mounts a ewe. This will give as indication of when the ewes may conceive. 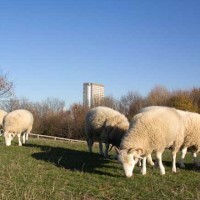 We’ve only just introduced the ram and ewes, but we’ll be keeping our fingers crossed for Whitefaced lambs in 5-6 months!